To listen and view a particular section of music, drag your cursor over an area. The new selection will be highlighted. You must select music for either a single instrument or for all instruments – otherwise a selection will not show. Then press the Spacebar to listen to your selection. To extend your selection, hold down the shift key while clicking a note outside your current selection. 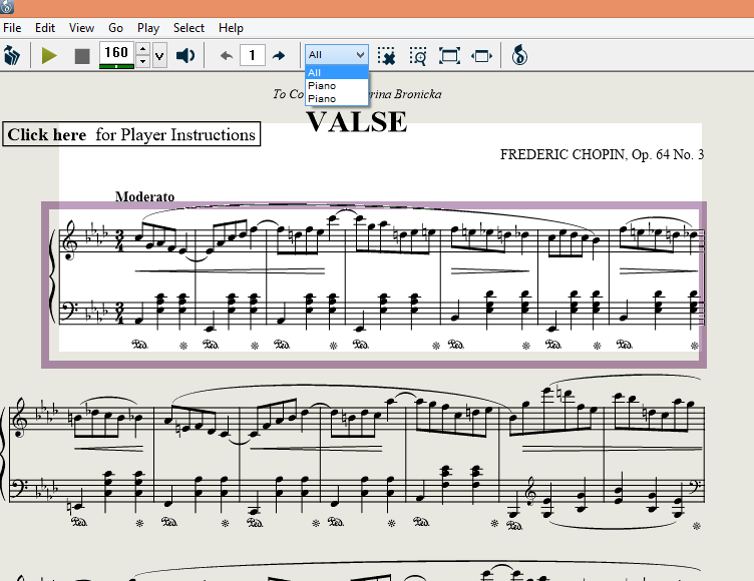 Selection may also be made by first clicking a note, then shift-clicking on another note. This is useful for selections that extend over multiple pages. This information is also available in the Player's Help menu under Help Topics and clicking on the "Select a passage of music" link.